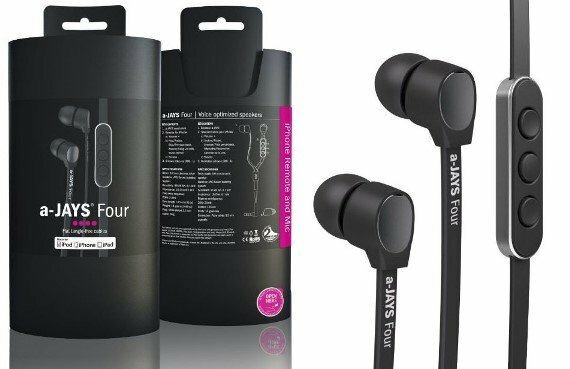 If you are looking for some great headphones for your iPhone, iPad or iPod, then take a look at the a-Jays Four earphones first. Luckily, mobilefun.co.uk was kind enough to send one for a review. 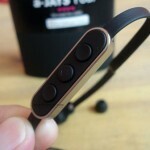 So let’s check it out and see if this premium headphone from Sweden would fit your ears. The a-Jays Four is a heavy bass impact hands-free headphone with mic, designed for Apple devices like iPhone, iPod and iPads. 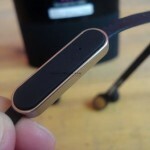 It features a flat tangle-free cord, connected to an L-shape 3.5mm plug, with control buttons. Below is the complete specs of a-Jays Four. 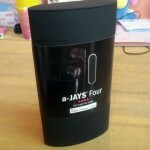 I’m quiet impressed with the packaging of the a-Jays Four. 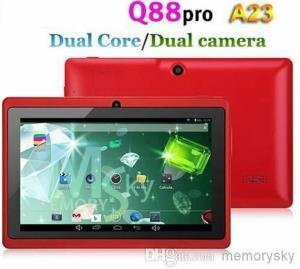 It comes in a protective casing, an elongated oval-shaped hard plastic casing that is rubberized coated. 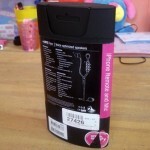 The casing itself is very tough, and will surely protect the earphone inside. Opening the casing is a little bit tricky as well. 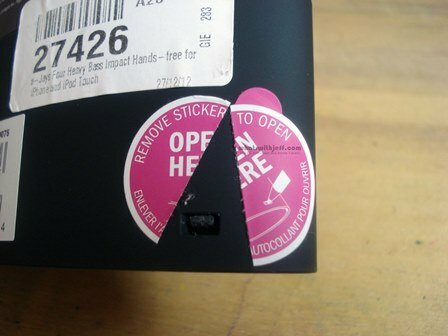 If you look at the third picture above, the one of the right, there is a sticker saying “Open Here”. 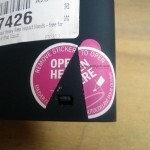 You need to peel the sticker and push the button, at the same time push the bottom of the casing, sliding it upwards. You might need something hard, like a screwdriver to push the button. 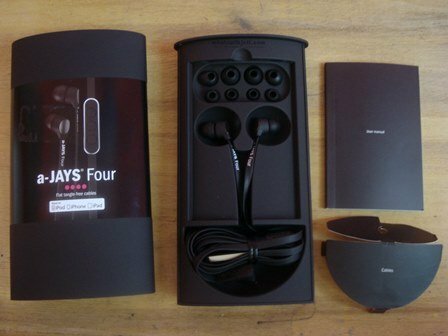 Inside the box (or the hard plastic shell), you will see the a-Jays Four, a manual and four more extra ear buds. The whole body of the a-Jays Four is rubberized. 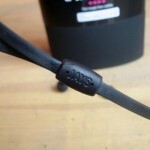 The cables are made out of TPE coated flat tangle-free cables. 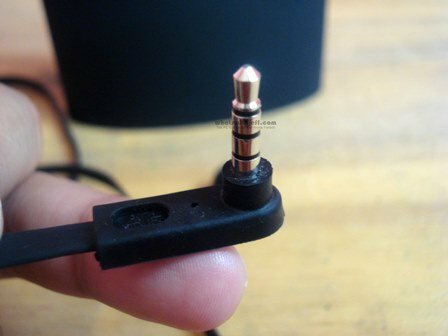 The head of the headphone itself is quite small, and has a metal plate at the back. The design is really simple but professional-looking. But I find the rubber ear-buds a little hard compared to other earplugs, making it easily fall of from my ears. 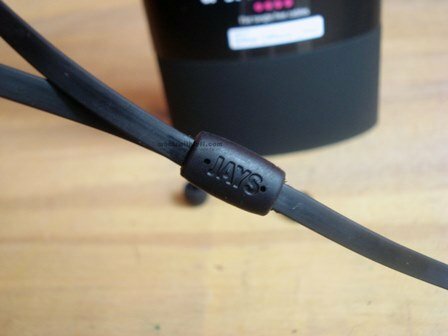 A three button control and a mic is located at the right cable of the a-Jays Four. The three buttons in front of the control have a smart feel soft touch concave/convex design for better grip. At the back of the control is a digital, active surface mounted MEMS-Silicon microphone. You can see a small dot or hole at the back of the control. Now the control is exclusive for Apple devices only, since it is patented by them. With the three buttons you can answer/end calls, pause, play, rewind, and forward music. 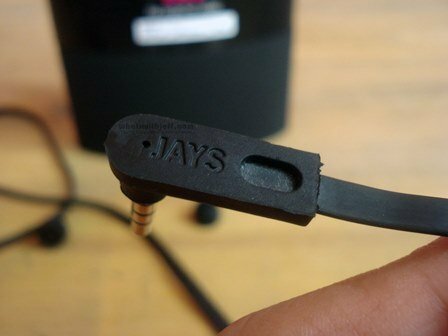 I tried using the a-Jays Four on an android device, generally the earphone worked, except for the other two buttons. Only the middle button work, for answering and ending call, as well as playing music. No rewind or forward feature, since the other two buttons are not working on an Android device. Again, you will not fully enjoy the controls if you are using other devices than iPhones, iPods or iPads. 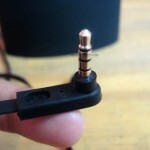 At the end of the cable is an L-shaped 3.5mm jack. Why L-shape? because you can easily fit it in your pocket or easily manage the cable with an angle jack, instead of the regular straight plug. 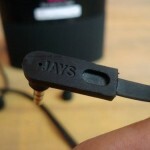 The 3.5mm jack of the a-Jays Four is a 4-conductor TRRS phone connector, which is commonly used on headsets/headphones with microphone and/or control button. 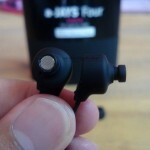 When I first have a good look of the a-Jays Four, it’s really a premium earphone/headset. 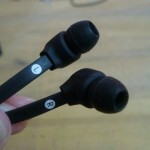 I am using the headphone for almost a month now and I have no problems with it, except for the ear buds. 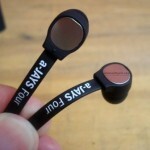 The sound quality is great which is comparable to that of a Sennheiser CX500 earphone. 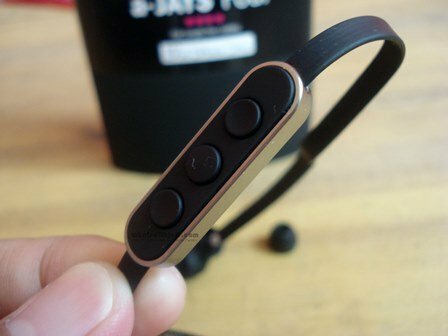 It also has noise cancelling feature since it is an earplug. So for those who are driving, try to avoid using this while you are driving. The bass is also great and combines well with the mids and highs. However, if I were to put myself in an audiophile enthusiast’s shoes, I would say that this is not the best in its class. 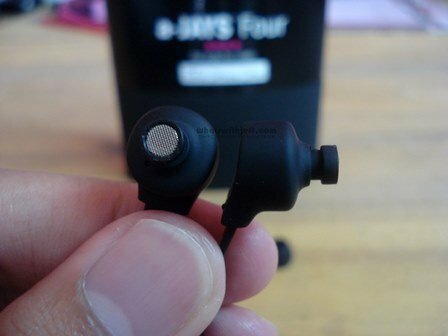 There are other earphones that could produce better sound quality than the a-Jays Four, when it comes to music. And they cost much much more than the a-Jays Four. 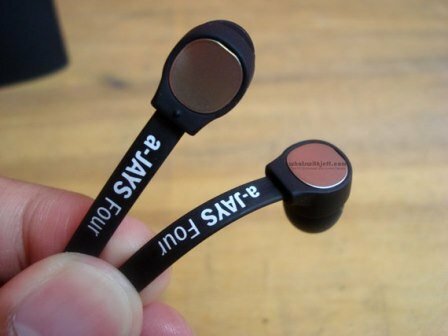 This is somewhere in the mid level, and not a high end earphone. But don’t get me wrong, each ear is different from another. 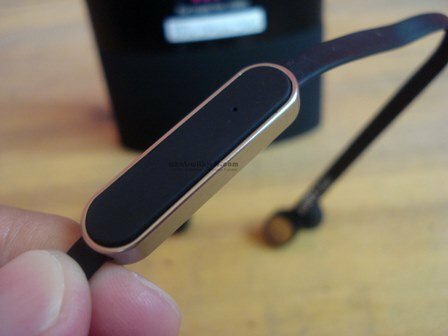 Generally the sound is great, the mic is great and it’s a great hands-free earphone. Just be careful not to max out the volume. It may damage your ear drums, specially in the long run. 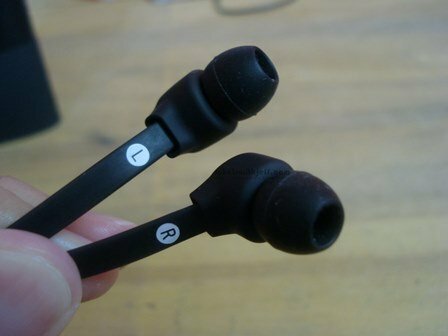 The rubber ear buds – it’s a little bit hard, which make the a-Jays Four fall easily from my ears. I even tried the small buds and the bid buds, still the same. 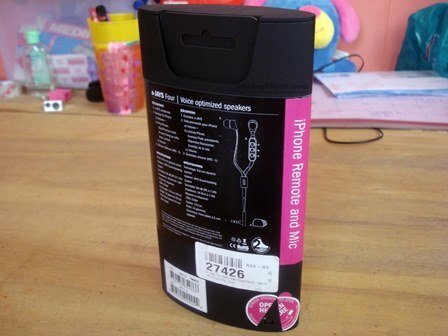 For more iPhone, iPod, iPad and iPad mini accessories, visit mobilefun.com for US and mobilefun.co.uk for UK. Jailbreak iPad 2 with iOS 4.3.3 Now Available! : The real Deal! Asus ROG Vulcan ANC Pro Gaming Headset is Simply Wicked! 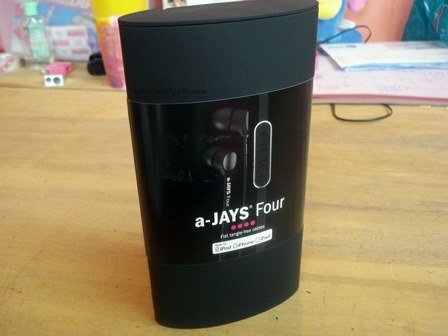 Summary: The a-Jays Four is a must have accessory, specially for iPhone, iPod and iPad users.